Amazon and Whole Foods: Did Rotten Tomatoes Spark a $14 Billion Deal? Home Commerce Headless Commerce Amazon and Whole Foods: Did Rotten Tomatoes Spark a $14 Billion Deal? When Amazon announced its bid for Whole Foods, you could practically hear the screams coming from the C-suites at Kroger and Wal Mart. When a giant like Amazon bites into your market, the chances of survival diminish—and the grocery industry is already famous for thin margins. Buying physical locations is an interesting strategy because most grocers are doing the exact opposite. They are all working like mad to bring online shopping and unified ecommerce to customers. More people are buying groceries online. A January 2017 report from the Food Marketing Institute and Nielsen predicts that online groceries will grow five-fold by 2025. The report indicates that 25% of American households buy some groceries online now, up from 19 % in 2014. 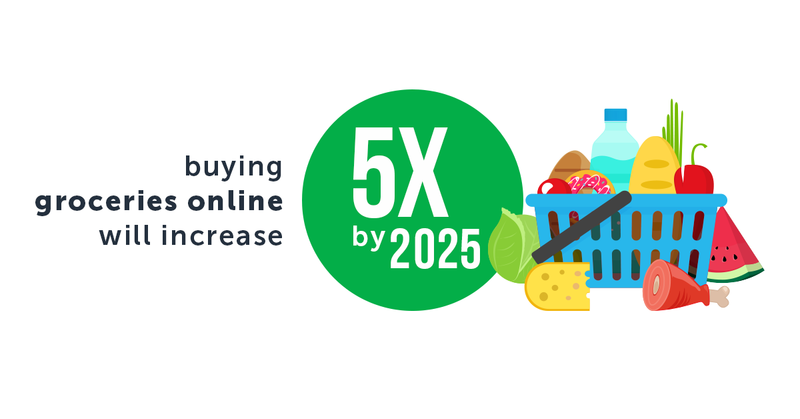 More than 70% say they will engage in online food shopping within ten years. Of those, 60% expect to spend about a quarter of their food dollars online. Of course, Amazon is already in the food business. They launched Amazon Fresh in 2016 in 20 cities across the United States as well as in Berlin, London and Tokyo. For $14.99 a month you can order groceries from Amazon Fresh. Amazon Pantry sells non-perishables like cereal, chips, rice and coffee for a flat delivery fee of $5.99 per box, and Amazon’s Prime Now offers items from local grocers in some cities. With a finger tap and a Dash Button people can order many household products including groceries, but not fresh foods. Customers can also sign up for periodic delivery of laundry detergent, toothpaste, diapers, paper towels and other items frequently purchased in grocery stores using Subscribe and Save. Aside from this, if you have an Amazon Echo device equipped with Alexa, you can build a shopping list then ask Alexa to buy the groceries on the list for Prime Delivery. With all these services already in place, why is Amazon looking to buy physical stores? In a word: spoilage. According to a recent story in Bloomberg, Amazon experienced challenges with the high cost of losses caused by food going bad, an issue it didn’t have to solve with videos or books. Bricks and mortar grocers discount softening tomatoes and pork cutlets near their expiration dates or sell them to re-manufacturers. Apparently, at Amazon Fresh, partially spoiled food items were returned by irate customers and/or discarded at an alarming rate. According to the story, the main reason Amazon began delivering groceries through Prime Now was to devolve spoilage risk back down to local suppliers; buying locations eliminates the problem. Vertical integration with a company like Whole Foods that already knows the business is a great way to learn, and along with retail outlets Amazon gets local warehouses, landing pads for drones, and established supply chains. Rotten tomatoes sparked a nearly $14 B deal? Did rotten tomatoes really spark a $14 Billion deal? Maybe, but Amazon also had another problem. No one currently associates the brand with groceries. Books, clothes, electronics, car parts, everything and a kitchen sink –but not food. The company would have to spend billions educating consumers that now they offer food. Maybe that’s not a huge stretch for a company with so many controlled touchpoints, but why build when you can buy? 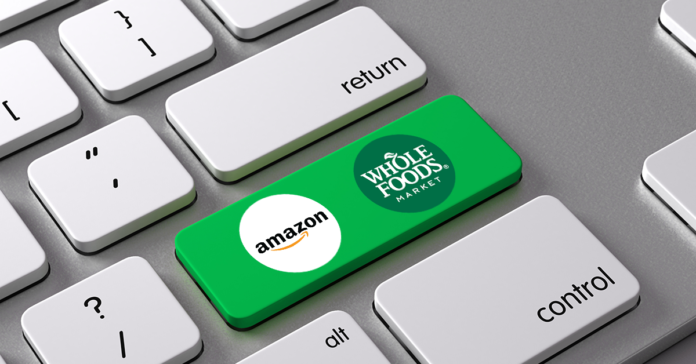 They could not have made a more strategic marketing move than to purchase a high-profile brand like Whole Foods, a brand associated with high quality (also high prices, but maybe Amazon can help with that). As with Netflix, Amazon started out as a trusted platform for other sellers. The interface still reflects that legacy. But they mastered discoverability, reliability and trustworthiness well before any other mass retailer. While those characteristics are huge, it will be interesting to watch how they integrate the Whole Foods brand ethos with their own. Will stores be renamed Amazon Whole Foods? 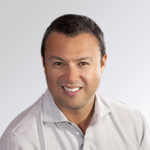 The company is always innovating, and with the move to own-label offerings, it may alter its digital experience strategy in various portions. One could imagine them splitting digital experiences up by line: Amazon Entertainment, Amazon Foods, Amazon Retailer. Alternatively, will they eventually become like the department stores of the past? As Sears here in Canada enters bankruptcy protection, Amazon is charting a course to enter that category. What’s next in store for Amazon? Own-label clothes? There’s Amazon Prime Wardrobe for that. Sporting goods? How about cars? Who knows where the giant will take its next bite? What we do know is that all other industries are starting to feel the impact of Amazon and other tech giants as they broaden their markets. Customers are demanding better experiences when interacting with brands and Amazon’s mastery of discoverability, reliability, speed, and innovation give them a head start. To survive “Amazonification” brands across all industries need to quickly figure out how they can deliver a fundamentally better experience through a unified ecommerce platform, to their customers, now and in the future. Traditional monolithic ecommerce platforms limit how quickly you can react to meet or exceed customer expectations. Contact us to find out how our agile, API-first commerce platform can give you the ability to get ahead of customer demands, while continuing to take advantage of investments you’ve made in your legacy platforms.